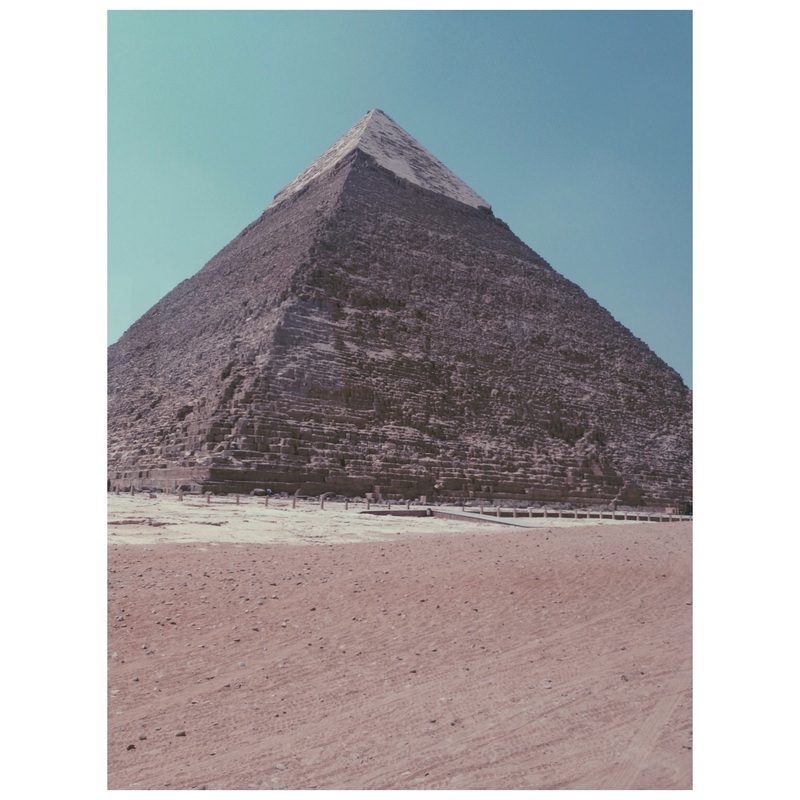 My dad, a world traveller, hated Cairo because of the pyramids. Why? The pyramids come with an army of touts and for those who don’t know what a tout is, they are people whose living depends on tourism but their approach can vary. Some touts will listen to you and others simply won’t. The touts at the pyramids have a reputation for being some of the most persistent in the world. For travellers who don’t enjoy the hassle, this can be concerning. So I have wondered how I would manage the touts and still admire the pyramids in peace. Tuck away any desire to politely respond and simply ignore them completely. Do not look at them. Do not look at what they are selling. Do not respond. Move away from them if necessary. Kind of surprisingly, this worked for Jade and I. We saw the pyramids in peace albeit a very hot and sweaty peace! It was a surreal experience that hasn’t really sunk in yet. All of a sudden, you emerge from the urban sprawl of Giza on the other side of the Nile River from Cairo and there they are. Just sitting there, famously, waiting to be admired. Despite having a guide to explain the history of them (or the many versions of stories attached to them) the information didn’t sink in as I stared at them in wonder. 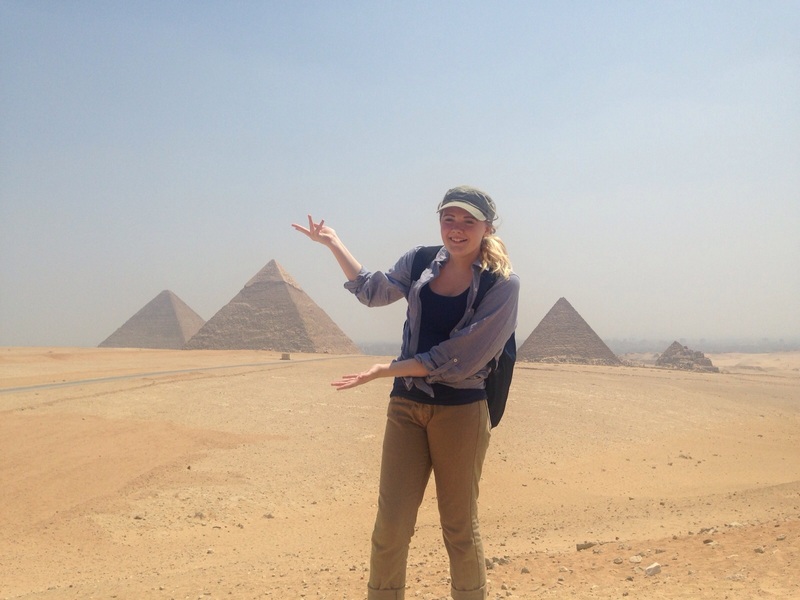 The pyramids, right there, in front of my eyes and I couldn’t seem to absorb them. Maybe for the first time, I have found a tourist site that really needs returning to after having researched them thoroughly. Maybe this will help to “take it in”. Maybe the pyramids just need to be seen more than once to fully admire their grandeur, their presence, their age. At least Jade and I now know one thing. We are definitely in Egypt! Have you experienced touts before? What was your worst experience with them?